In the third volume in the epic Myst saga, Atrus and Catherine return to the ravaged world of the fabled D'Ni civilization as they struggle to start new lives, fulfill their destinies, and uncover clues to a hidden book containing the secret plans of the ancient D'Ni masters. 125,000 first printing. for Myst fans - the third novel from the creators of the CD-ROM Myst and the new CD-ROM - Riven. It has been nearly seventy years since the devastation of D'Ni by Veovis. 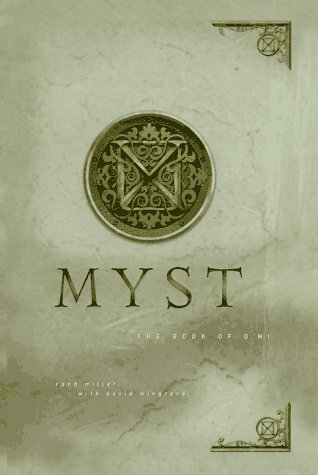 In Myst: The Book of D'Ni, Atrus and Catherine return to D'Ni to begin the rebuilding of the once again beautiful city and the search for survivors trapped in the Ages to which they escaped. Their rebuilding and resulting discoveries tell them much about themselves, their future, and most surprising, about their secret past. This stunning and mystifying AudioBook is the perfect companion on that next long drive, plane ride, or walk. Let Myst: The Book of D'Ni take you on an adventure.